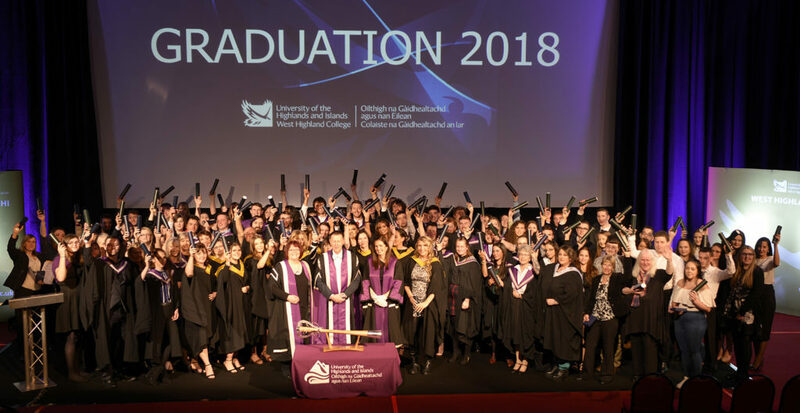 The success of more than 225 of its full-time students who achieved their qualifications this summer was celebrated by West Highland College UHI on Friday, when its annual graduation ceremony was held in the Nevis Centre, Fort William. 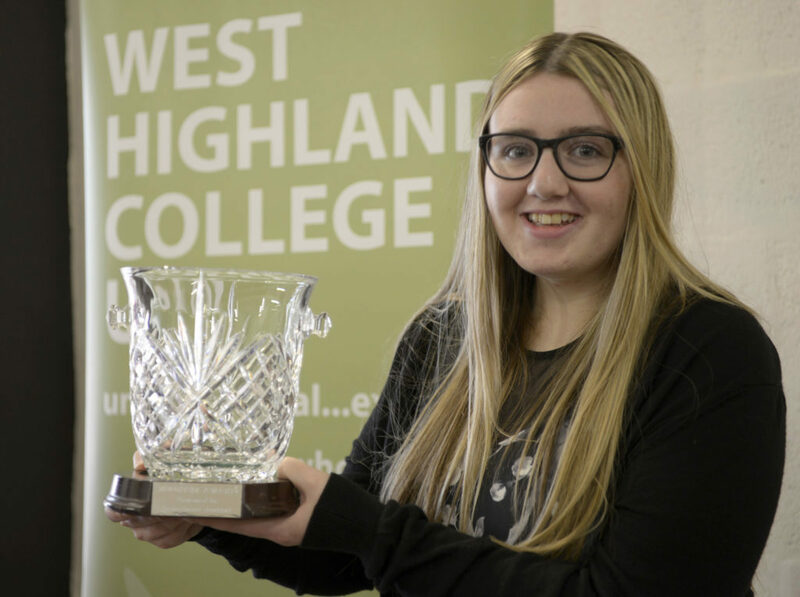 Students from all of the college’s 10 centres throughout Skye, Wester Ross and Lochaber were invited to attend and, this year, around 120 students and their families including 30 students who studied for their qualifications outside Fort William also came to celebrate. 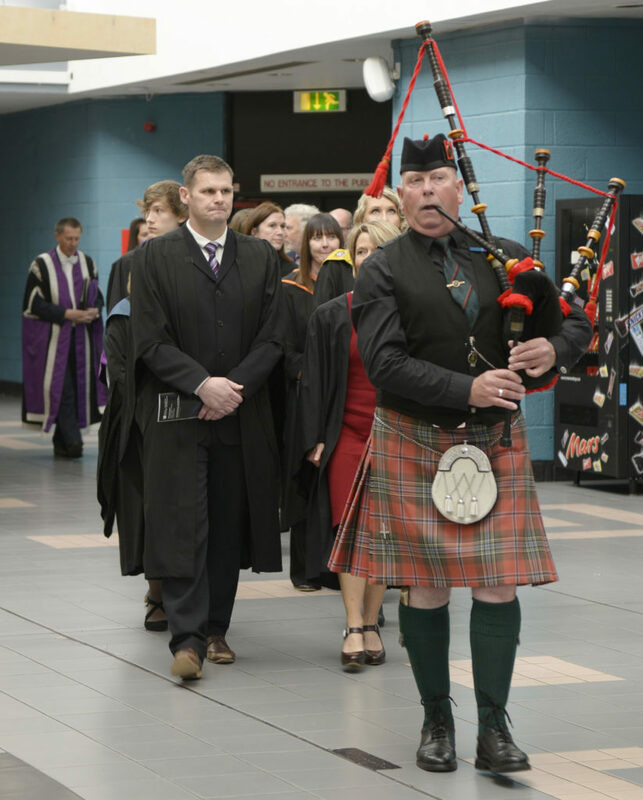 The ceremony began with an academic procession led by Principal and Vice Chancellor of the University of the Highlands and Islands Professor Clive Mulholland; Mace Bearer Rachel Walker from Spean Bridge; college principal and chief executive Lydia Rohmer, members of the board of management and other guests who were led by Piper Raj Smith from Mallaig. There was also a royal flavour with greetings sent by The Princess Royal, who is Chancellor of the University of the Highlands and Islands. Ms Rohmer commented it had been a privilege to celebrate the efforts and successes of students at the graduation. ‘Many of them have overcome great barriers to achieve their qualification, while others are here today to mark the end of a long period of study and their readiness to step out into the world of work,’ she said. 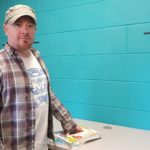 The college’s School of Adventure Studies attracts students from other parts of Scotland, the UK and Europe to study in Fort William and this year it witnessed a number of ‘firsts’. The first Master of Science in Ecotourism went to Nathan Berrie, a recent student now working as a Nevis Ranger at the John Muir Trust. 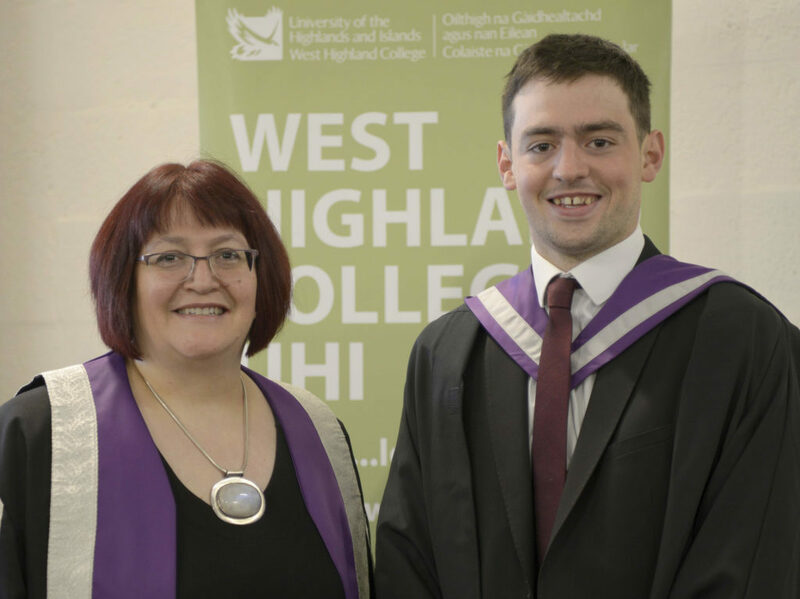 Nathan Adam received his BA (Hons) Adventure Tourism Management and in doing so became the first student to have progressed from the Certificate in Outdoor Adventure based on Skye to the Certificate in Outdoor Leadership then on to complete the four-year honours degree. Fiona Quinn, who last spring walked the length of Britain covering 993 miles in 57 days, was the guest speaker. 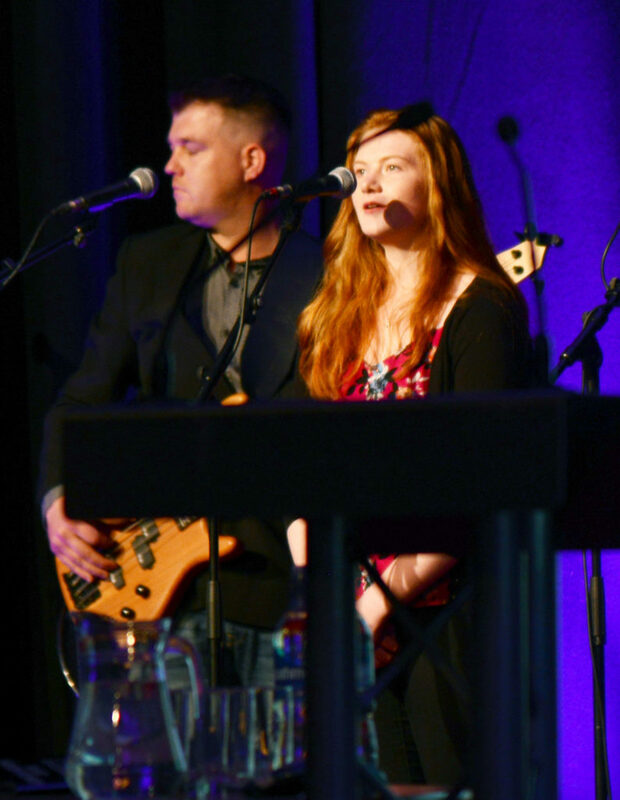 During the ceremony, Georgia Dennis, currently a sixth year pupil at Mallaig High School, performed her own composition ‘Rewind’ which won a competition organised by the music department last year. 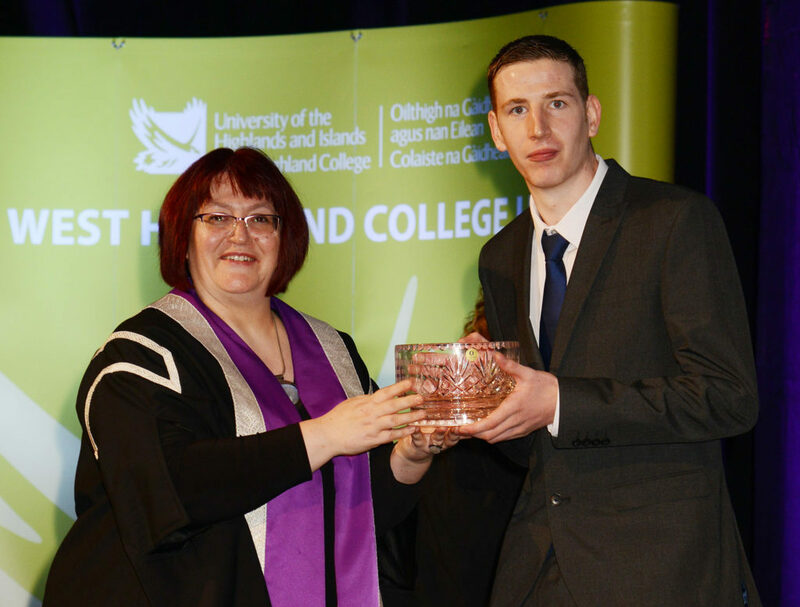 HE Student of the Year: Kasha Mackay, HNC Social Services, from Caol, near Fort William. 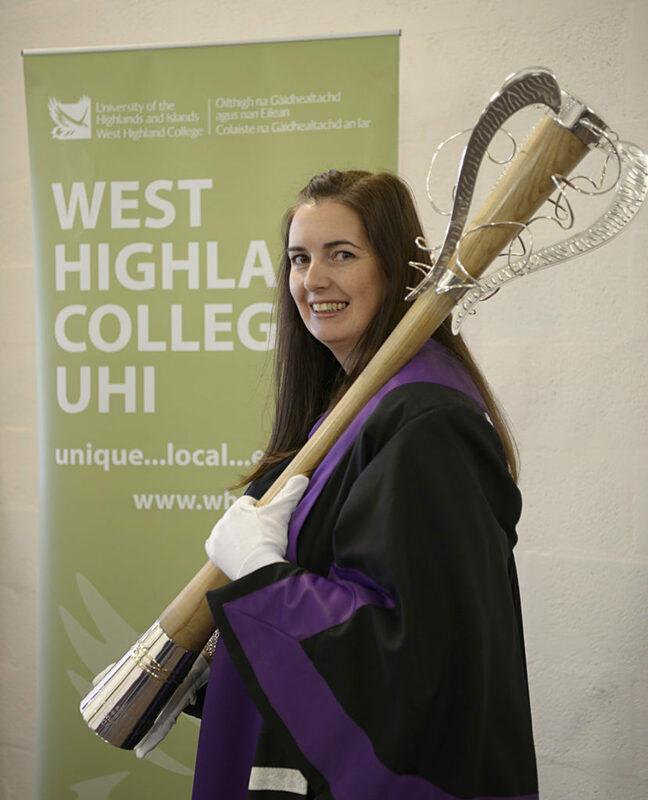 Further Education Student of the Year: Joanne Hercus, NC Early Education and Childcare, from Dunvegan, Skye. 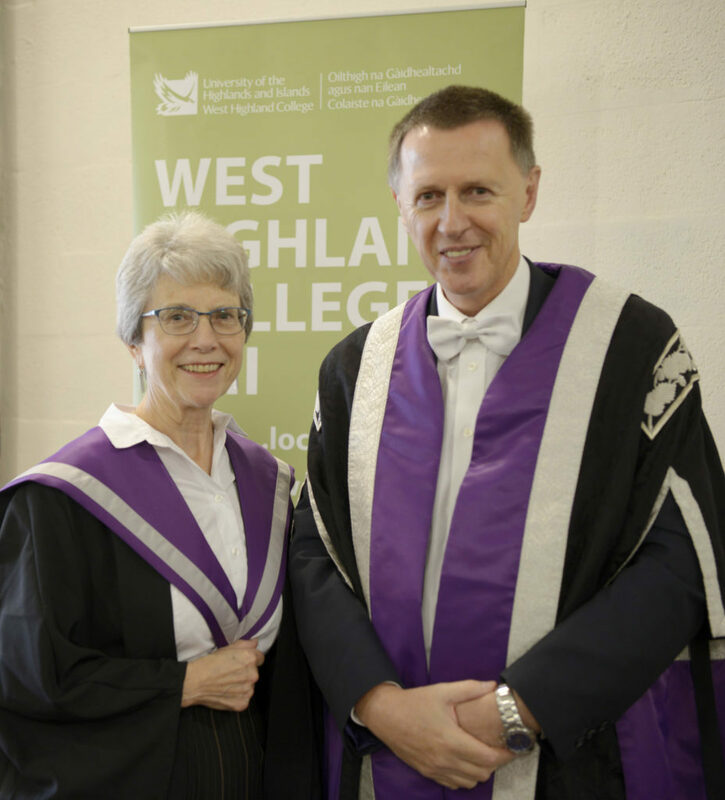 Professor James Hunter Dissertation Prize: Brenda Grant, from Corpach, who graduated with a first class honours degree in Scottish History won the prize for her dissertation titled ‘A Woman’s Fight: The Glasgow Rent Strike 1915’. 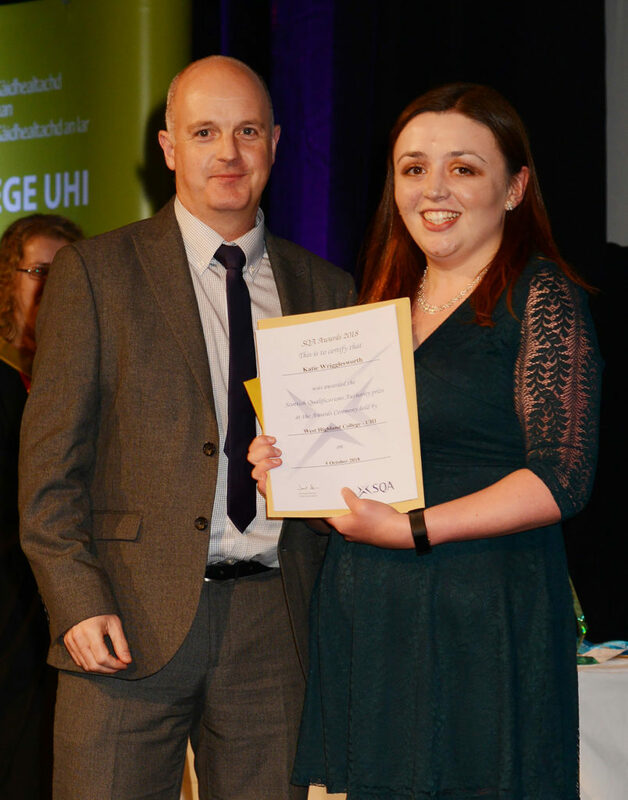 Special Awards from Industry: Springboard Bowl: Amy-Louise Kane, Achievement in Professional Cookery. Strathmore Bowl: Conor Watkins – Achievement in Hospitality. 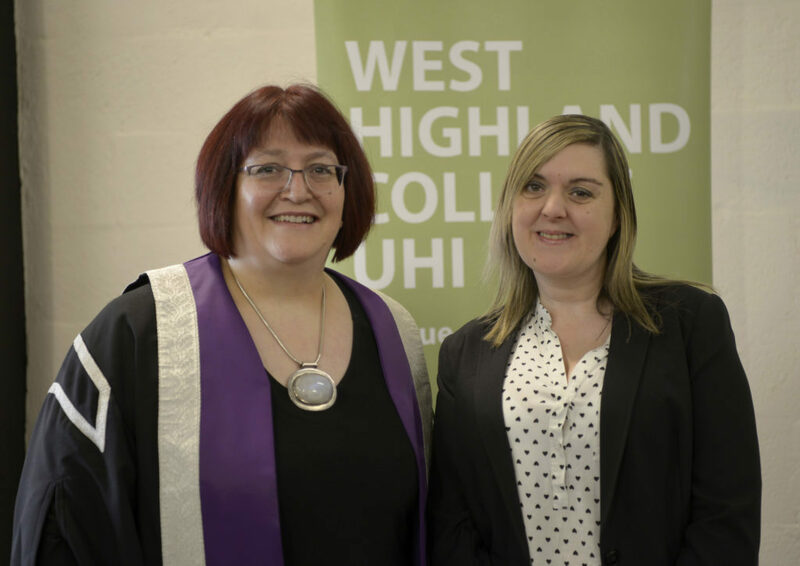 Scottish Qualification Authority Award – Katie Wrigglesworth. 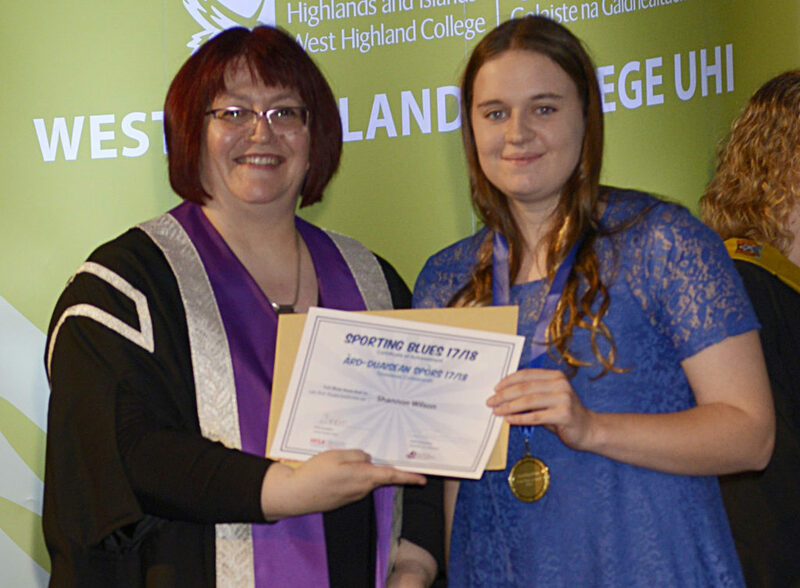 Sporting Blues: The University of the Highlands and Islands’ Sporting Blues awards scheme was launched last year to recognise sporting achievements of its regional students. Shannon Wilson – Shinty, Full Blue: Shannon is a student on the BA (Hons) Adventure Performance and Coaching programme. She regularly plays for Fort William Shinty Club and the Scotland under 21s Scotland team. Louise Anna Ferguson – Mountain Biking, Half Blue. Louise Anna Ferguson is well-known to the Fort William mountain-biking scene. 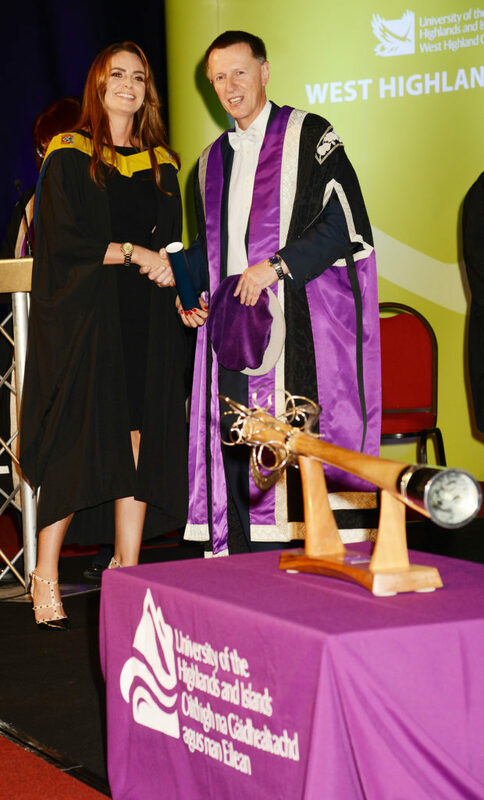 She is a student on the BA (Hons) Marine and Coastal Tourism degree and also received her degree at the ceremony. 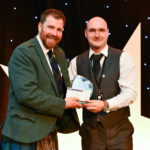 HISA Award : Most Inspiring Lecturer: Geoff Wright from Fort William has recently retired from lecturing on the Skills and Learning Programme, supporting students with additional needs to study and achieve qualifications. 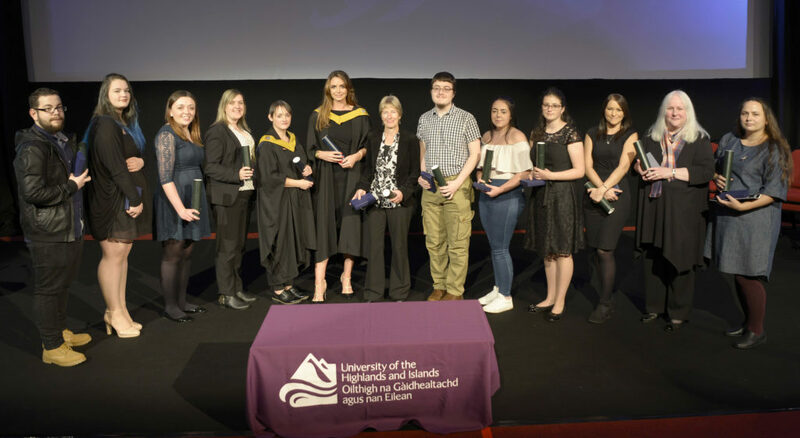 The Highlands and Islands Students’ Association (HISA) Awards received more than 428 nominations from 13 academic partners. 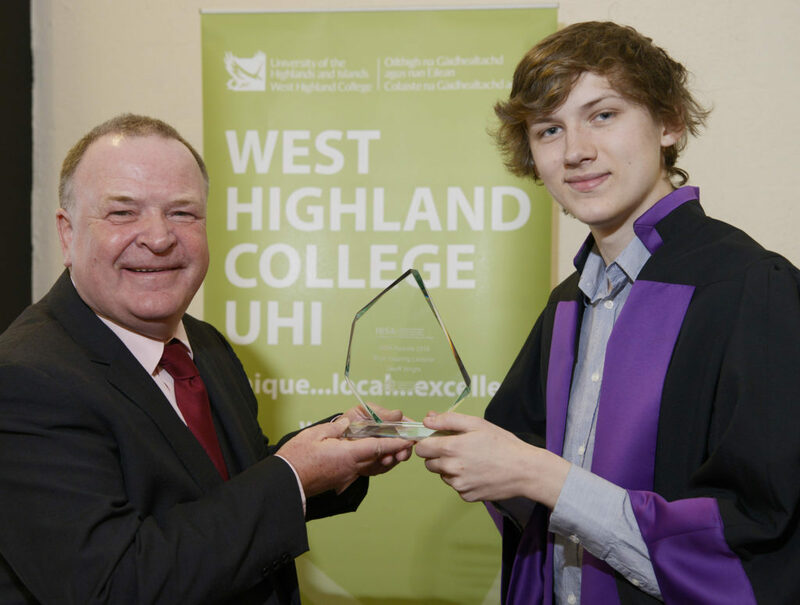 Geoff was presented with his award by Callum Stephen, Vice President Further Education at the Highlands and Islands Students’ Association. 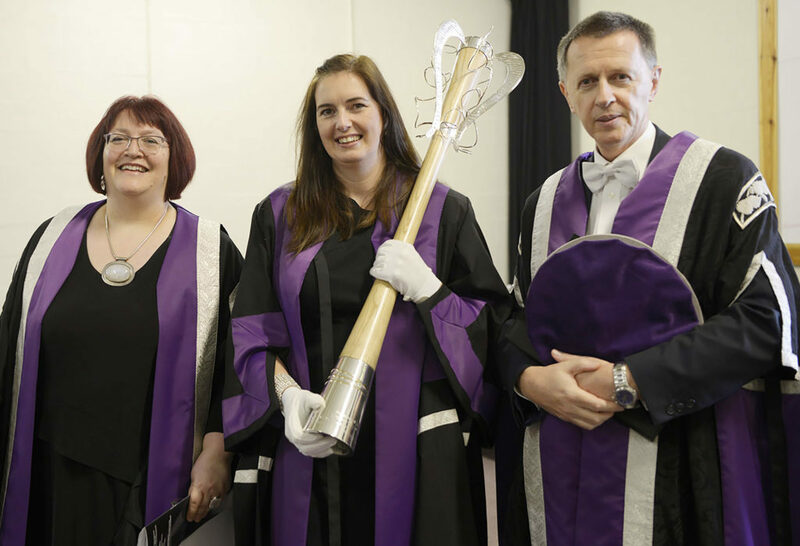 Mace Bearer: The honour of carrying the mace at the ceremony this year went to Rachel Walker, who has been a music lecturer for West Highland College UHI since 2013 and is now the course leader. She is well known as a Gaelic singer and won the Gold Medal at the Royal National Mod in 2017. 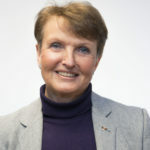 She has worked tirelessly to create good links with the local school.